Interlocutor: Well, Master I’ll move on now to another issue that I have scheduled. 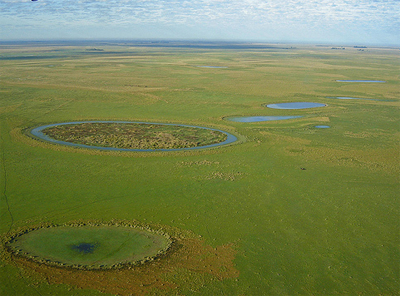 Is there any mystery at the Ibera Wetlands? Interlocutor: Do these elves are made up by the spirits of error? Ruanel: Yes, but the people have confused the Pombero with aliens. Interlocutor: I understand. Do these aliens have a base near the Ibera Wetlands? Ruanel: I wouldn’t call it a base, because these establishments are not permanent. The settlements are mobile. Interlocutor: How big are these settlements? Ruanel: They are small with no more than ten or twelve members each, and when they decide to leave the place they leave it in seconds. Interlocutor: So, these establishments are like small spacecrafts...? Ruanel: That’s right, and they have even an invisibility system. Ruanel: Yes, but it is not surprising because this one has also been discovered on Earth. Interlocutor: Then, these settlements cannot be seen nor photographed? Interlocutor: That invisibility you talked about, Wasn’t it achieved only for the spacecraft, but also for themselves? Ruanel: In their suits, yes. Interlocutor: How many settlements would there be in the area? Ruanel: No, all of them from the same race. Ruanel: From a Star called Altair. Interlocutor: From the planet Altair 4? Interlocutor: What are they doing at the Ibera wetlands? Interlocutor: What kind of research are they doing? Ruanel: They Investigate the humus of the soil and also the plants. Interlocutor: I assume that they will take samples from our plants to their planet. Interlocutor: Do they abduct humans? Ruanel: Not at all. They are totally away from them. However, they have often been seen and people thought they were, as I said, imaginary beings such as the Pombero. Interlocutor: To sum up, At the Ibera wetlands there are fourteen alien spacecrafts settled down in the place with a crew of twelve members each. Ruanel: Actually they are not many; they are no more than 200 individuals. Interlocutor: How long are they living in that place? Ruanel: At least 140 years. Interlocutor: Well, it is not recent, then. Ruanel: No, of course not. Interlocutor: Do these aliens produce some strange anomalies in order to keep away prying eyes? Ruanel: No, because they don’t care about them. Interlocutor: Have explorers and scientists gone to the area to investigate? Ruanel: Yes, American and Argentine people. Interlocutor: Did they find something? Interlocutor: Do the Americans that have come to the area have something to do with Area 51? Ruanel: No, they are, what you would call, amateur researchers. Interlocutor: I understand. Do local people have seen spaceships? Ruanel: Yes, but from other aliens whose ships do not have the gadget of invisibility. Interlocutor: I understand. Are there other aliens at the Ibera wetlands? Ruanel: No, they are only from Altair 4. Interlocutor: Is it because the people of this planet have taken over the area? Ruanel: No, simply because the other aliens are not interested. Interlocutor: Is there anything else about this topic? Ruanel: I explained all there is. Interlocutor: The rest are only rumors, then? Interlocutor: I assume that the spirits of error also play tricks on the people by altering their minds. Ruanel: Two thousand years ago, and backwards, there was a star gate similar to the one there was in Egypt. Interlocutor: And similar to the Sun Gate at Tiwanaku? Ruanel: No, it’s not working, it was dismantled. What has been transmitted for at least two millennia are merely legends that have distorted the truth. Structures have remained there, but there is no star gate over there. Ruanel: Yes, there are tunnels. Ruanel: Not yet, but I repeat that at this moment there is no structure, not even an indication that there were machines over there. Interlocutor: What were their activities? Interlocutor: Did they also experiment with the Indigenous people? Interlocutor: Is there any historical evidence of the presence of these aliens? Interlocutor: Is there any relationship with the aliens who made the Ica Stones? Ruanel: Not at all, they were totally independent. The Mayan civilization as well as the Aztec and the Inca civilization had indications engraved in different rocks, even to the naked eye there are some beings with human-like form with helmets and space suits. Interlocutor: How come the researchers have not found the tunnels? Ruanel: Simply because they have not explored well. The tunnels have stayed out of their reach. Interlocutor: Before they left, Do these aliens sealed the entrance to the tunnels? Interlocutor: But how come they didn’t reach them? Ruanel: Because they didn’t find the right place to get into the tunnels. Interlocutor: Are you telling me that by touching a particular place the door will open, just like in some adventure films? Ruanel: No, because the door which you are referring to is only a façade. Interlocutor: One cannot enter into the tunnels from there? Ruanel: No, because the real door is elsewhere. That door leads to several tunnels. There's even a subterranean river. Interlocutor: Was the door, which is visible, built by aliens directly as a façade? Ruanel: Yes, that is correct. Interlocutor: What was the purpose? Ruanel: Just to attract gullible people. Interlocutor: Can we say that this door-like structure is an extraterrestrial joke? Ruanel: Yes, because that was the main purpose. Interlocutor: Specifically, then, if they drilled the entrance they wouldn’t find anything behind this place? Ruanel: Otherwise they would have found the entrance to the tunnels. Interlocutor: But where is the real entrance to the tunnels? Ruanel: The real entrance to the underground tunnels is located at the foot of a closer mountain near the area, and not only are there large caverns, as I said, but also subterranean rivers that have many kilometers long. Interlocutor: To conclude with this issue, How far is the real entrance from the false door? Ruanel: About 12 to 15 kilometers. Interlocutor: But they are not going to find them ever! A person called Jose Luis Delgado says he dreamed about those tunnels. Was it only his fantasy? Ruanel: No, not a fantasy, just a wishful thinking that led him to dream something like that. Ruanel: If they heard music was from other people around the area, as for perceiving energies, it was only a placebo effect. Interlocutor: What about the spirits of error? Did they also have influence over them? Ruanel: They always have influence, never discard that. 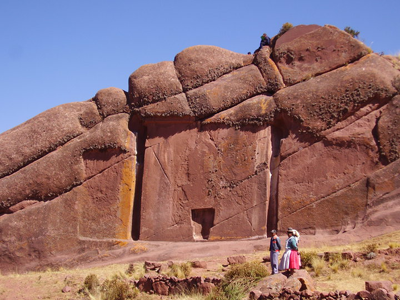 Interlocutor: Is there some extraterrestrial base by any chance in the Lake Titicaca? Ron Hubbard: No, not at the moment. Interlocutor: But there was a base? Ron Hubbard: Yes, there was. Interlocutor: What race were they from? Ron Hubbard: They were aliens from Spica 4, also from a world called Braco which is a sea world. Interlocutor: Are these aliens from Braco those that were in the loch Ness also? Ron Hubbard: No, that is all. Interlocutor: Well, the point is clarified. Thank you, Master. Interlocutor: Do you agree if we move on the questions I have scheduled? 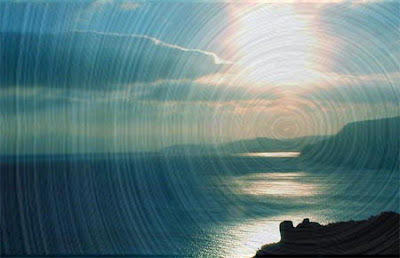 In recent years, the inhabitants of the Balearic Islands are saying that they heard strange noises that could even be heard in the mainland coast. There have been many testimonies and the same number of comments stating that these noises resembled the clash of two giant metal tubes and had an estimated time of one minute. Other people said that it was like a huge roar that affects the sea divers’ bodies when they were submerged. Some divers even thought that these sounds could be made by military sonar submarines; however the truth is that even in some parts they could even hear the sound out of the water, many fishermen, as well, complained and blamed this phenomenon as the main cause of the decline in fisheries in the area. Interlocutor: What are they doing over there? Ruanel: They are running small tests with the oxygenation of the water. Ruanel: They come from Albion, Albion 4. Ruanel: They want to carry heavy water to their world. Interlocutor: How far is Albion 4 from Earth? Ruanel: About 540 light years away. Interlocutor: How are they like, morphologically speaking? Ruanel: They are like jelly beings, but will solid mass. Ruanel: No, they are like the Greys, but with a greenish color. Interlocutor: Then, they are not like humans, but directly humanoids. Interlocutor: How tall are they? Interlocutor: How big is the alien base? Ruanel: Around 300 long 200 width and 40 meters height. Interlocutor: All the sounds come from that base? Interlocutor: Will the researchers eventually discover the base? Ruanel: No, because those aliens are planning to deceive them by making them believe they found the source of the noise, either from a sunken ship or an oil ship or anything else. Interlocutor: Specifically, they will put bait in order to deceive them. Interlocutor: Is there anything else about this? Interlocutor: Do these aliens come to the surface? Ruanel: Yes, because they breathe through lungs and they also have gills. Interlocutor: But, can they breathe our air? Interlocutor: Are they amphibian beings or am I wrong? Ruanel: No, you are not wrong, they are amphibians. Interlocutor: We’ll conclude with the session here, unless you have something to say. Ruanel: No, for the time being that’s all. Entity to dialogue: Master Ruanel. For centuries, historians and travelers have written journals of their experiences related to mysterious rumblings in the sea, in the mountains, and even from the sky. These sounds are like storms, cannon shots or the collapse of buildings. Since these episodes are recurrent, the sounds have been named in some countries like: in Belgium, "mistpoeffers”; in Japan “Uminari”; in Italy “Brontidi”; in India “Barisal guns” and in the U.S they are known as “the guns of the Seneca”. In other parts there are also melodic sounds, such as the ones at Shoshone lake in the Yellowstone National Park, the sounds go up and down and they are recurrent in that place. I want to clarify that I have heard this kind of sound from the balcony of my apartment. It was like the noise of a thunder, but shorter. It caught my attention because there were no comments in the media. I still remember the tremendous vibration of the glass on the window. Ruanel: The explanation is simple... You know that when a supersonic plane breaks the sound barrier, the famous Mach 1, there is a sound like a rumble. Well, there are alien artifacts older than the rest, which fly in the skies of Earth... In previous sessions we have talked about dimensional doors through which you could go to other worlds and even travel through time... There are planets that have developed a technology different from the famous Orion 3 dimensional doors, and artifacts made of another type of energy, with another type of plasma, when they break the dimensional barrier they produce a similar sound to the supersonic airplanes when they break the sound barrier. Interlocutor: Are you saying that due to the hot air the images might look blurry? Ruanel: Correct... The ships could be seen in that way. Interlocutor: I understand ... But how do they to get through these dimensional barriers? Ruanel: They simply aim to the barrier with special artifacts, such as computers that are dimensional, opening a dimensional door, and when going through it you hear that sound that caused so much perplexity. Interlocutor: Let’s see if I understand... The sound is actually produced by these old machines, because if they had a more advanced technology to open the dimensional doors the opening passage would be silent... Am I right? Interlocutor: Well, but you mentioned small spacecrafts... Does this mean that the larger ships are more advanced so that they don’t produce any noise? Ruanel: No, the bigger ships do not pass through the dimensional doors because the size of these openings does not exceed ten meters. Interlocutor: Okay... Do these dimensional doors exist already or the computer made them appear in that moment? Ruanel: No, no, they are created in that moment and once the space ship passes through the gate it shuts down automatically. Ruanel: Exactly.... And once the spacecraft passed through the dimensional door, it shuts down again. Interlocutor: So, if the pilot wants to return again, he just creates another dimensional opening? Ruanel: Yes, because they have a pre-established key for each place, just like the aliens from Orion 3 had. Interlocutor: So, It's all about pushing a button and the dimensional door is opened up? It reminds me a little to the fictional story of Ali Baba and the Forty Thieves, where the famous door was opened with the words "open sesame"
Interlocutor: Is it a single alien race the one which is causing the noise? Ruanel: They come from a planet called Asgard, Asgard 4. Interlocutor: And how is their morphology? Ruanel: They are Grey, but they have a larger head compared to the other Greys, a double eyelid, fleshy membrane and a transparent membrane. Ruanel: Approximately 1.50 m... The tallest would reach 1.60 m.
Interlocutor: How far is their planet from Earth? Ruanel: About 890 light years. Interlocutor: I think the topic is clear enough, at least for the moment... Would there be anything else to say? Interlocutor: To conclude with this matter and to remove any doubt the noise I heard was produced by these ships? Ruanel: Yes, It was a dimensional noise. This entry was posted at Friday, February 17, 2012 and is filed under Extraterrestrials, Mysteries and Enigmas . You can follow any responses to this entry through the .